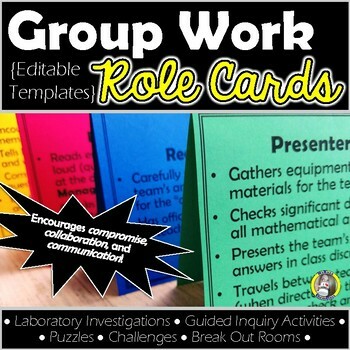 Encourage group collaboration, communication, and compromise using roles during every cooperative learning activity. A great strategy for both learning and improving interpersonal skills! Enjoy! I know your students most certainly will! Want a better look at these cards? Take a look at my YouTube Vlog where I show even more about it!